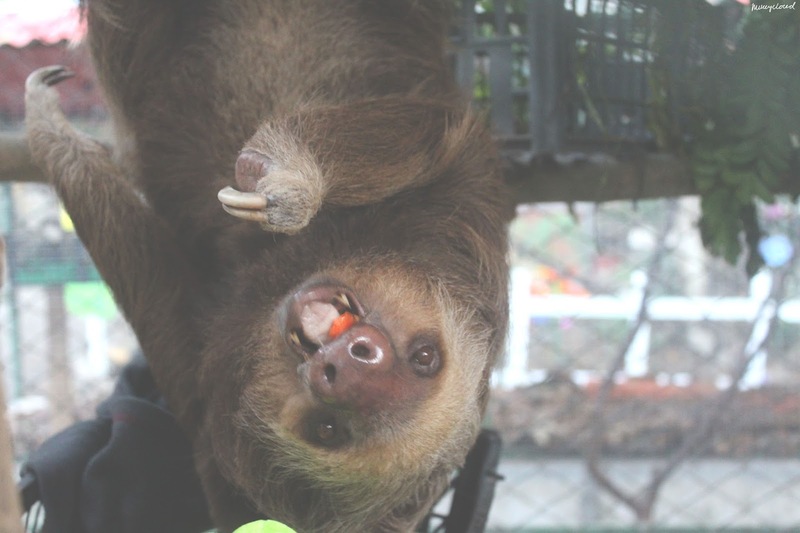 The Quirky Queer: Sloths, Sloths, Sloths! So I'm back from Costa Rica! It was amazing and life changing and all the rest of it but I'll talk about that in future posts... once I've figured out what posts I want to make and what order and blah blah blah. 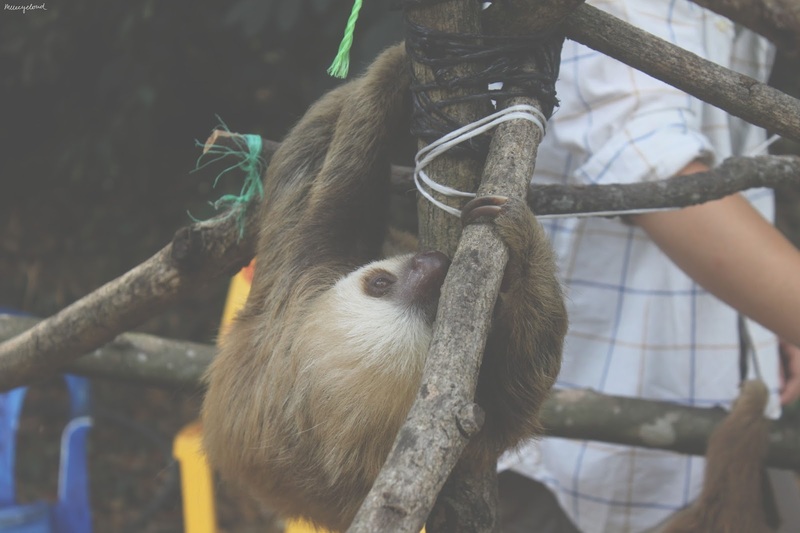 But while I figure all of that out I needed a blog post for today and I thought as there were lots of sloths and people like sloths this would be a no brainer really, a post with lots of pictures of sloths and some information about them, sound good? So while I was out in Costa Rica I spent 5 weeks volunteering at the Costa Rica Animal Rescue Centre.Where, among other animals, they have 23 sloths (24 now I think) and I got the chance to take lots of photos of them while I was there. 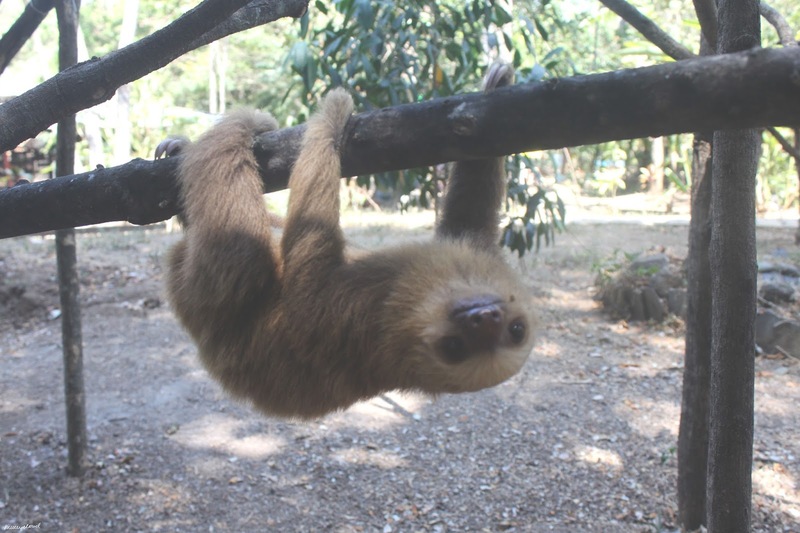 Ok so the photos are mainly of the three orphan babies Ena, Jay and Sarita but I have a few of other sloths too and I can tell you the stories of some of the sloths I interacted with more. 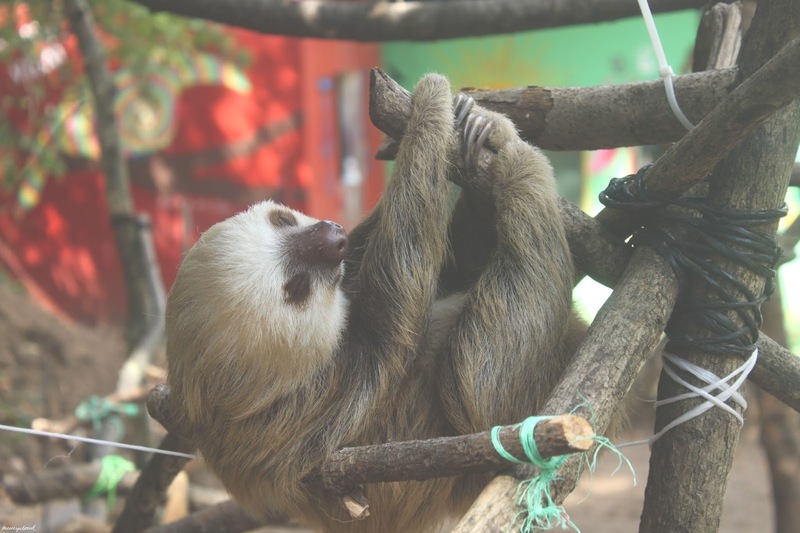 The rest of them were pretty independant and either set for release or with babies for release so we just gave them food, cleaned their cages and left them to it most of the time. 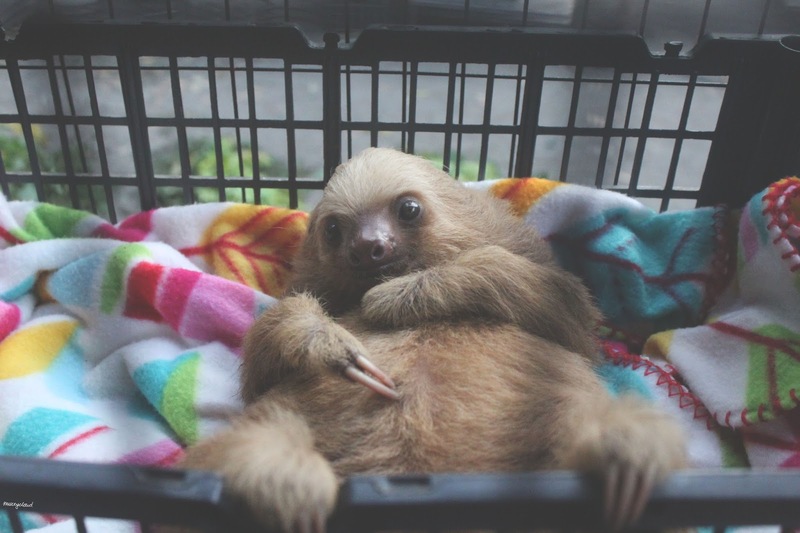 If you don't wanna read just enjoy pictures of sloths. 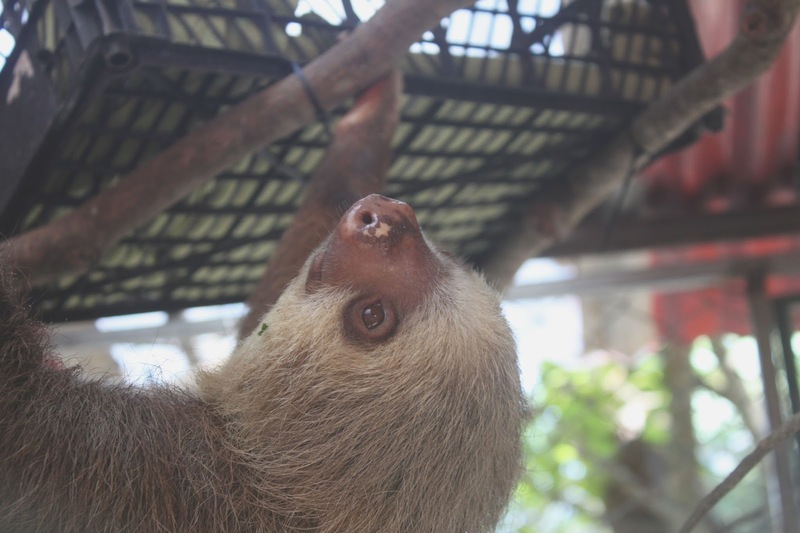 So this first sloth is Sarita, she's 3 years old and lives with the other two orphan babies. Unfortunately Sarita will probably never be released due to being almost completely blind and probably deaf too. 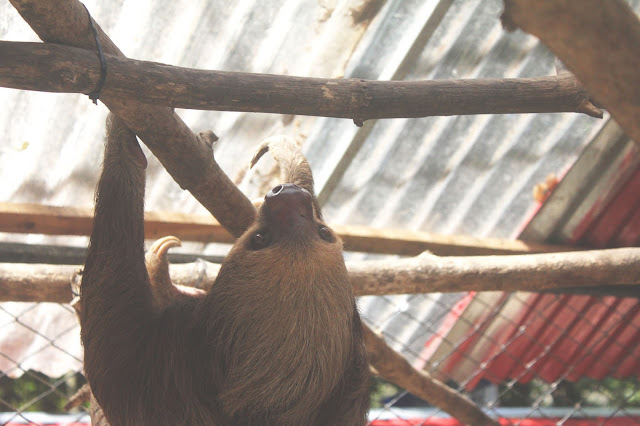 Despite this she's an independent little sloth who loves to climb. Above she's sat in her favourite spot on the sloth climbing frame, whenever we took the sloths out the climb she'd make her way t this spot and have a nap. She's a complete sweetheart, and she's not a fan of green beans. 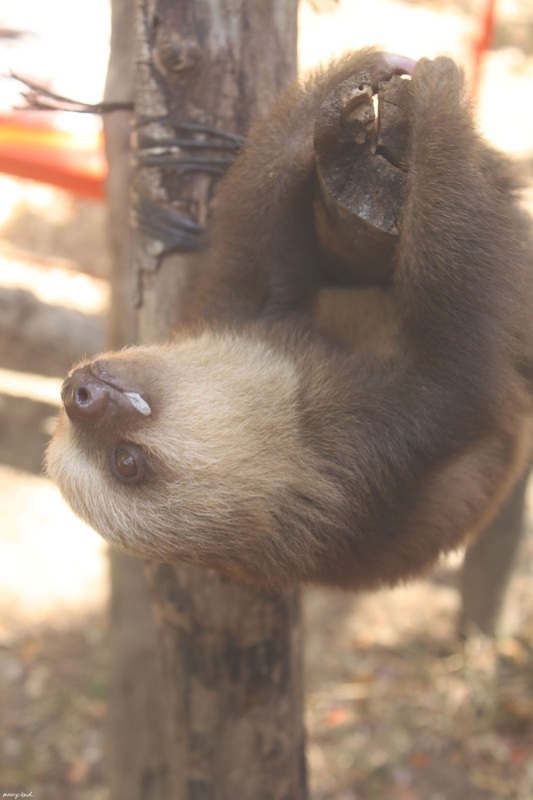 Next up in Ena, another one of the orphan babies. Ena was kept as a pet by a little boy, who thought it was a good idea to wash and shampoo her with human shampoo. 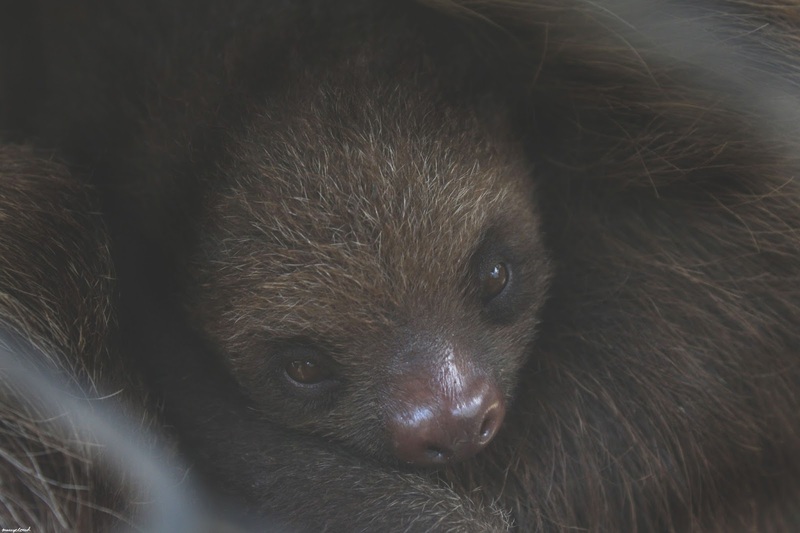 Because of this her fur is unnaturally really soft and doesn't grow the algea that sloths are supposed to grow on their skin. This means she might never be able to be released, but maybe one day the algea will grow. Ena is quite a fiesty little sloth who with either try and bite you, or just lick you. 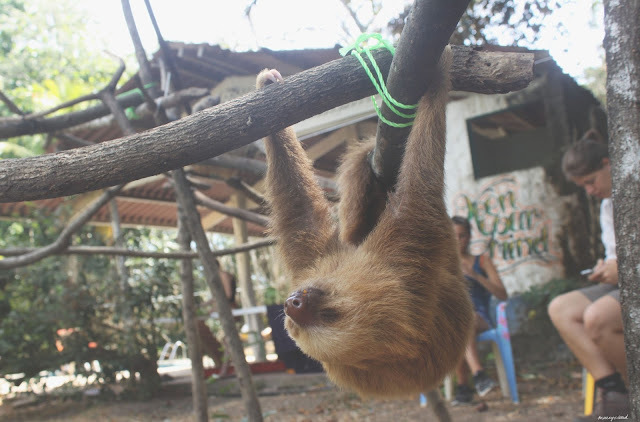 Jay is the youngest of the Orphans at just 5 months old and was actually born at the Sanctuary. 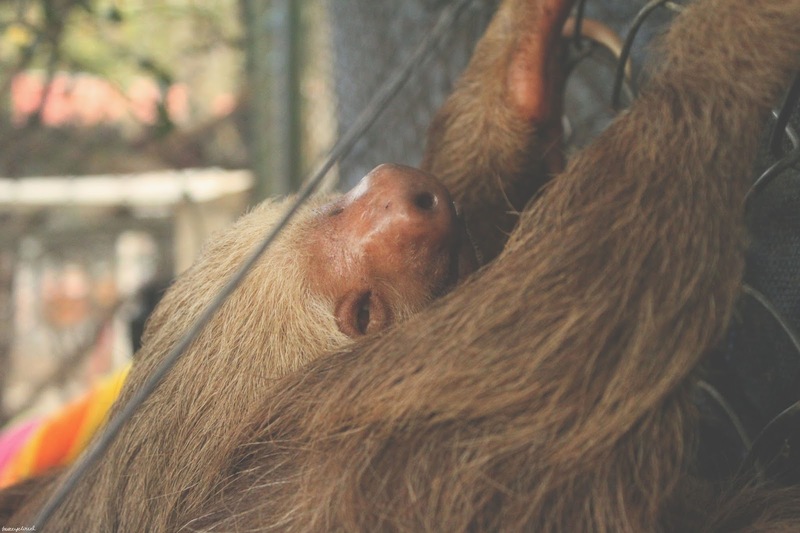 After hs twin was born 3 months after him (yeah weird I know but that's sloths) they did try and put him on another female sloth but none of them would take him. 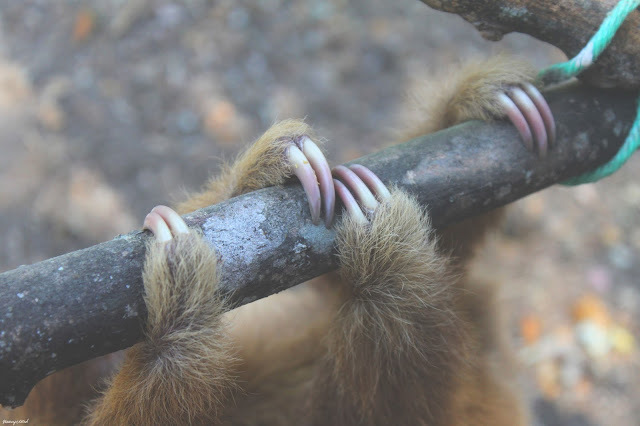 And as sloths can only look after one baby at a time he was left on his own. Jay loves a cuddle and tries to getone at every opportunity. 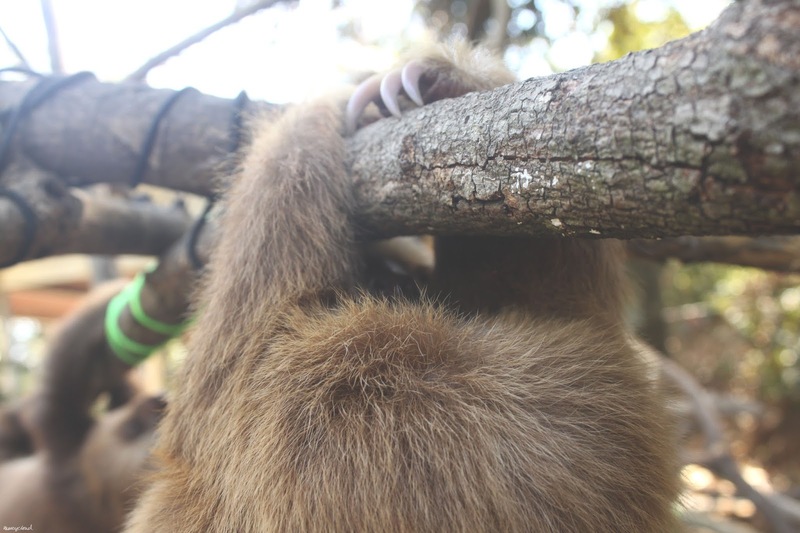 As soon as he knows you're in the cage he latches on and when you try and get him off his claws dig in. jay is also the loudest of the sloths demanding attention from you if you're close but not enough for him to grab onto you. 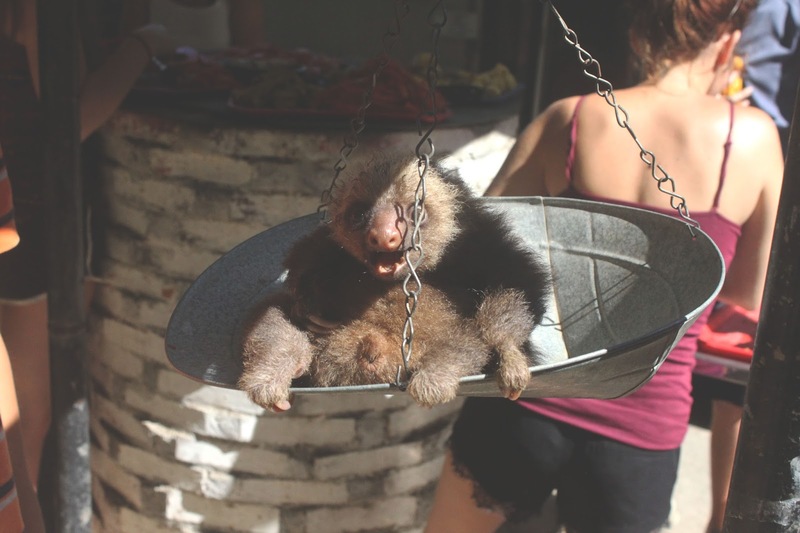 Stevie Wonder is quite an old sloth who needs a little extra care due to being blind. He got an eye infection which spread, hence why he has once weird looking eye. It also makes him easy to identify. He's a sweetheart though and when being fed (we hand feed him and Rachel) he'll open his mouth for you to put the food in and often fall asleep in the middle of his meal. 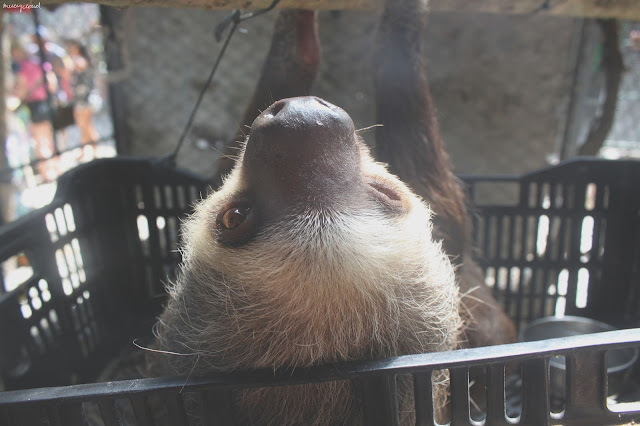 Rachel is another old sloth, who lives with Stevie and ,like many sloths at the centre, was electrocuted. Due to reoccurring injuries because of this and her being quite old she's not set to be released either. Like Stevie she's a total sweetheart, she comes to the edge of the cage if she;s awake hoping you have food and unlike Stevie eats her food super fast. 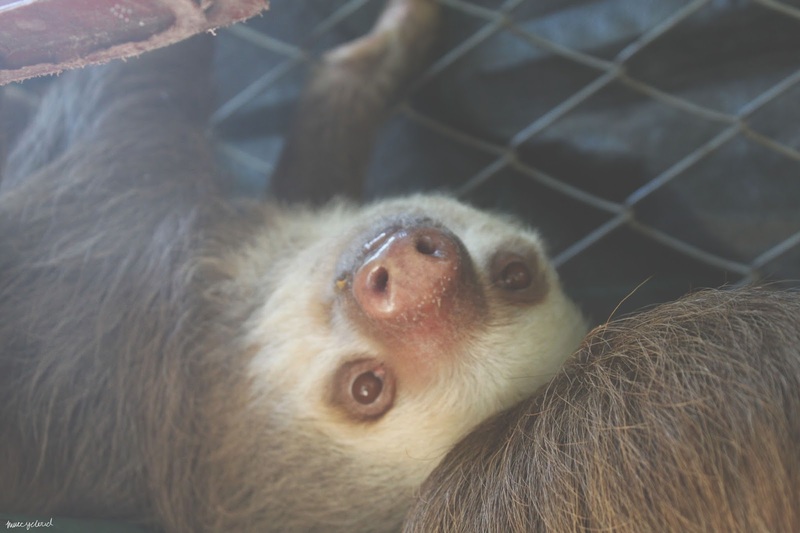 And now time for some sloth spam, I wll leave the names of some of them but I don't have any stories for these guys. 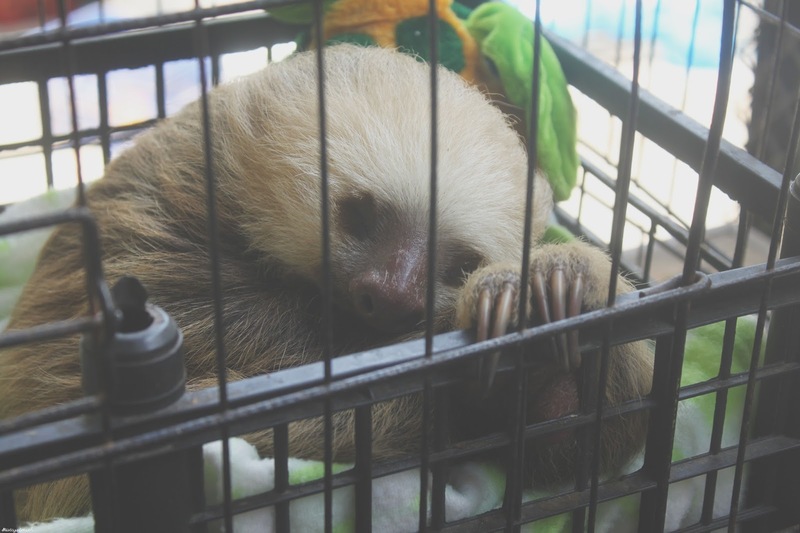 Aand that's it for the sloth picture spam, for now. 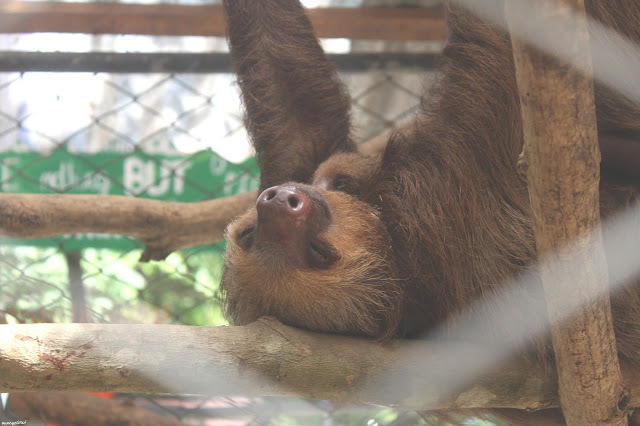 I'm sure I'll have more in upcoming blog posts about my time in Costa Rica and there are going to be lots of videos, the first of which is below. 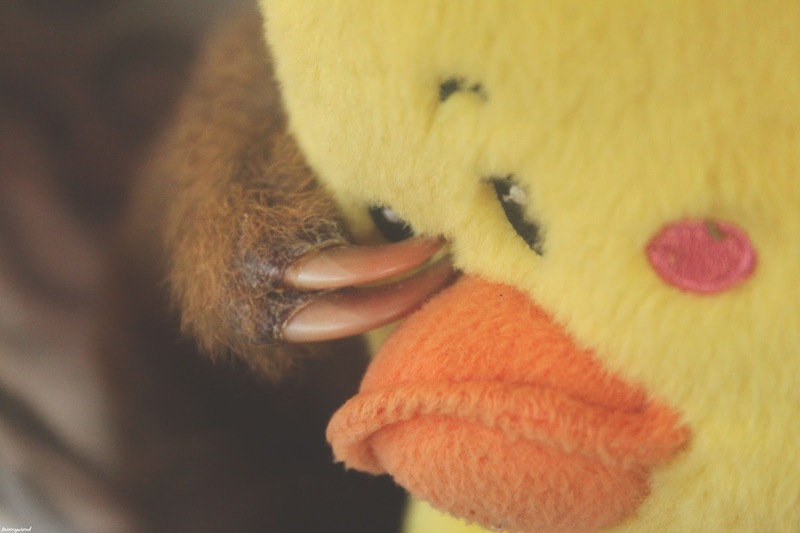 I have lots more to edit and will leave links in this post once they're up, or you can subscribe to my 3rd YouTube channel which is basically for animal videos and little happy things. I'll also be posting any to my Facebook page so follow whichever works for you if you want more videos of sloths that is. If you have any questions feel free to leave them below. 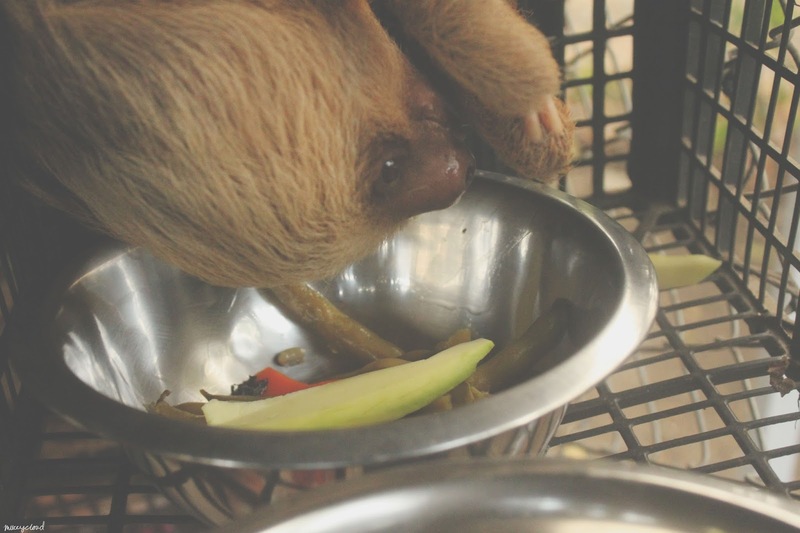 For now I leave you with a video of sloths eating Hibiscus leaves, enjoy.